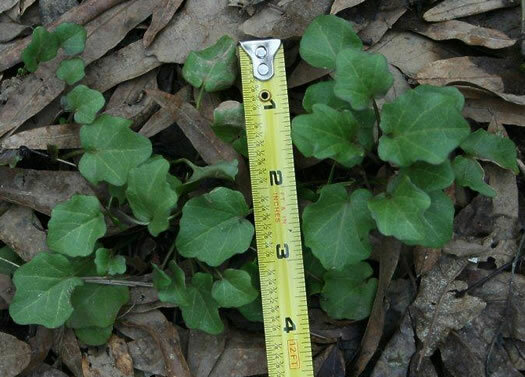 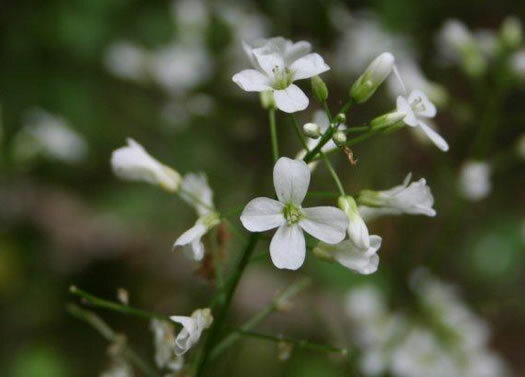 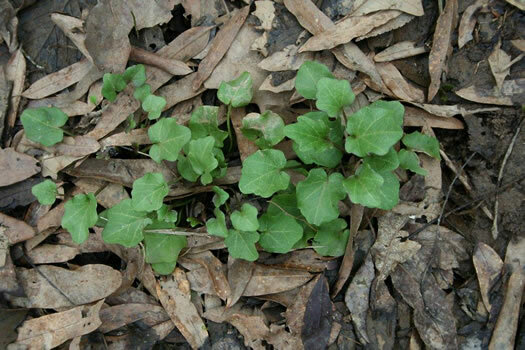 Basal leaves entire to dentate, green beneath, roundish, to 1.6" long, per Wildflowers of Tennessee, the Ohio Valley, and the Southern Appalachians. 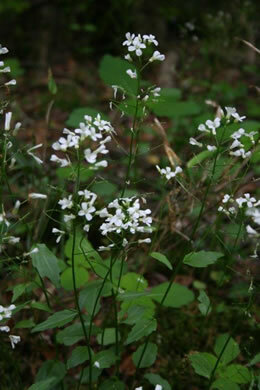 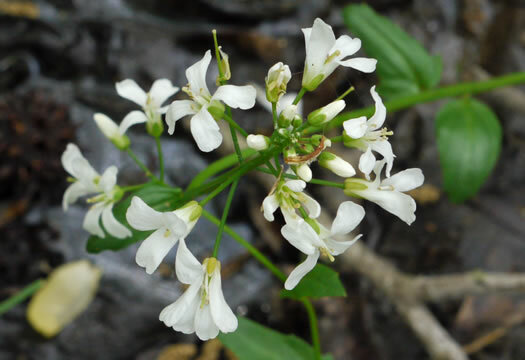 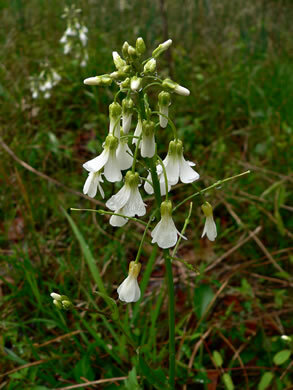 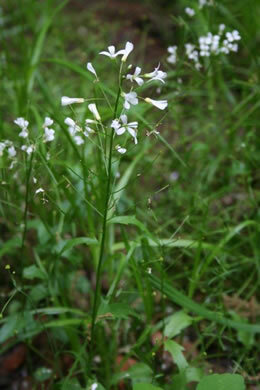 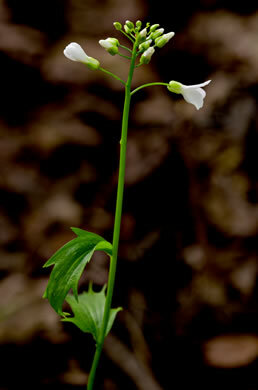 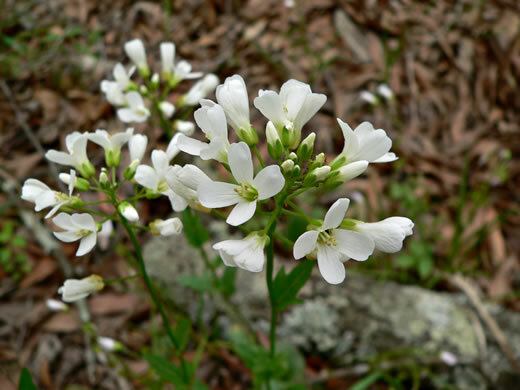 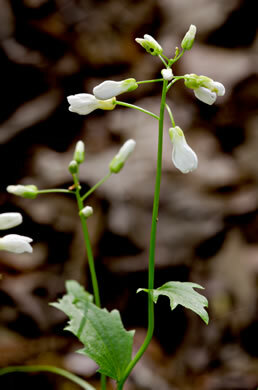 The 4-8 stem leaves are reduced, narrowly oblong or ovate, per Wildflowers of Tennessee. 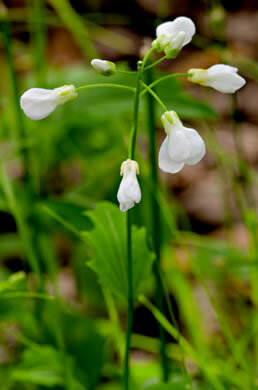 Green sepals fade to yellow after flowering, per Wildflowers of Tennessee, the Ohio Valley, and the Southern Appalachians. 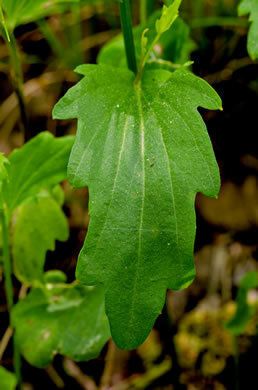 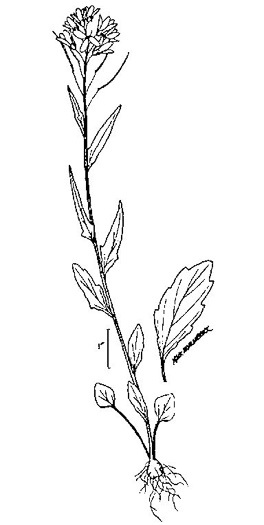 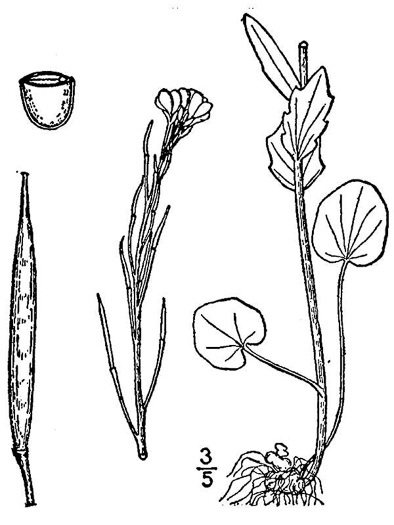 Stem leaves reduced, narrowly oblong or ovate, the upper ones sessile, per Wildflowers of Tennessee, the Ohio Valley, and the Southern Appalachians.